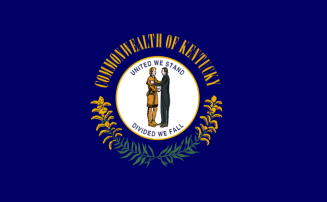 Kentucky vital records are available for the last century in Frankfort for various small fees. Kentucky birth records are stored by the Office of Vital Statistics in the Department for Public Health and cost $10, payable by check or money order to the Kentucky State Treasurer. Stillbirth certificates are also available for $6, while Kentucky death records are the same price, with an identical payment method. For Kentucky vital records before 1911, consult the Kentucky Department for Libraries and Archives, though they are not available for all areas, since most did not require careful recording of such events. Kentucky was the second state to be admitted to the Union after the first thirteen ratified the Constitution, after Vermont. In the following decades, Kentucky symbolized the wildness and opportunity of the American West and produced the great orator and statesman Henry Clay, who represented the state in the Senate several times. Note: The state's Birth Certificate Request Form is at http://chfs.ky.gov/forms/default.htm and click on Birth Certificate Application. Note: Provide a daytime phone number.